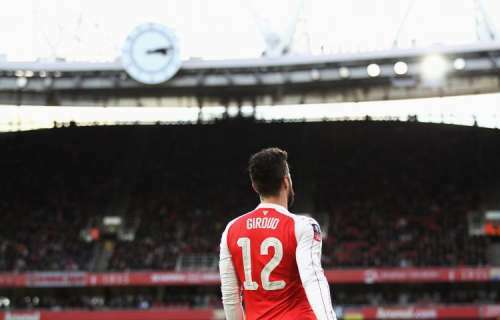 Olivier Giroud has revealed that Arsenal need to work harder to score earlier in matches rather than leave it late every time. Giroud currently holds the best goal-to-minutes ratio in the Premier League and has scored a number of key goals in the last few months, despite missing most of October due to injury. The striker believes the time spent on the sidelines has helped him grow a thicker skin. Speaking for Arsenal TV, he said: “I don’t know if I am a better striker, maybe I am. I’ve obviously improved myself since I signed for Arsenal, but I always try to be stronger [physically] and stronger in my head. “It’s never easy to be injured, to watch the game in front when you are injured and you can’t play, it’s frustrating. That’s why I was so happy to come back on the pitch after these injuries. Giroud has scored three late winners, against West Brom Albion, Preston North End and Bournemouth, out of five goals in his last six matches. Wenger admits Giroud has grown technically and confidence-wise since joining Arsenal but believes the striker’s form is only the tip of the iceberg, with good team play and spirit founding the base of the good results. “Everybody contributes in the squad and it’s moments in the season where you have to use the players when it all goes for them.” he told Arsenal TV.